The Shawna Forde Trial: Will The Mainstream Media Bother To Notice? 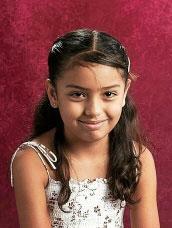 There's another infamous shooting of a nine-year-old girl that is making headlines this week in Tucson. This time, we wonder if the rest of the media will bother to cover it. As Terry Greene Sterling at the Daily Beast reports, Shawna Forde's trial finally opens this week, having been briefly delayed by the Giffords shooting. Gonzalez testified Tuesday she recognized Forde for several reasons. It was the first time she'd seen her in person since the incident, she wasn't wearing makeup (the women in the photo lineup were wearing makeup), she had the same smile and her hair was styled the same way. As for the smile, Gonzalez said that after the shootings, the home invaders ransacked her house and then left. However, when she was on the phone with 911, she looked up and saw the woman standing on the threshold, smiling. "She saw me standing there and her face dropped and she said 'Oh, (expletive)," Gonzalez said. We've been following the Forde case closely from the day it was first reported, in large part because it tells us so much about the mindset and behind-the-scenes operations of would-be border vigilantes. Indeed, one of the things we look forward most to learning from this trial is the extent to which Minutemen cofounder Jim Gilchrist was involved: there is a considerable likelihood it will turn out he tipped off Forde that federal authorities were looking for her in connection with the murders. We're also looking forward to perhaps finally seeing some coverage of the case in the mainstream media -- perhaps even Fox News, which has been assiduous in refusing to do so. I have to admit I'm baffled that, in a cable-TV business that prizes riveting audio snippets, it's gotten so little attention elsewhere. But then, this case always cut against everyone's favorite "neighborhood watch" narrative. It's about time we laid that one to rest for good.